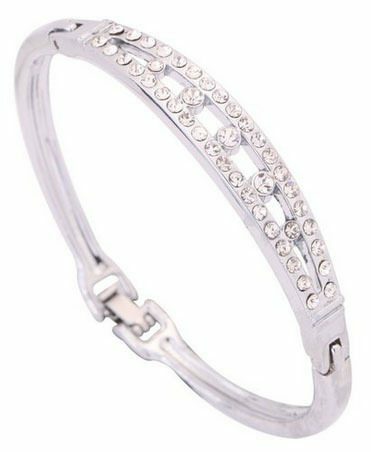 Sparkling Crystal Bracelet Only $3.99! You are here: Home / Great Deals / Amazon Deals / Sparkling Crystal Bracelet Only $3.99! Oh, I am loving this bracelet! This gorgeous Sparkling Crystal Bracelet is priced at just $3.99 (reg. $18.99)! And, shipping is FREE! I love all the crystals on this bracelet. I’m all about sparkly jewelry, and this is sparkly yet simple!